With a built-in supply of a powerful cocaine-chomping enzyme, the transplant might also curb addiction. There are nicotine patches to help quit smoking, and then there’s this: patches of actual skin, genetically engineered to produce an enzyme that digests cocaine, and, when transplanted onto mice, arms them against otherwise-lethal doses of the drug. 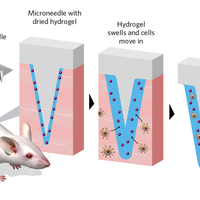 A study on the skin-patch strategy, which the authors hope could one day lead to a means of treating addiction and preventing overdoses in humans, appears today (September 17) in Nature Biomedical Engineering. “Cocaine addiction is very common . . . but right now there’s no treatment at all to either prevent addictive behavior or [treat] cocaine overdose—there’s no FDA-approved drug,” says Xiaoyang Wu, a stem cell researcher at the University of Chicago and coauthor of the study. 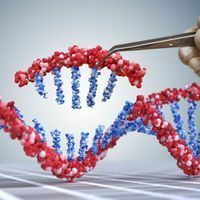 Wu’s team had previously used CRISPR gene editing to make a skin patch with cells that manufactured insulin for diabetic mice, and he wondered whether the principle could also work for cocaine addiction. According to one survey, more than 900,000 Americans abuse the drug. So Wu teamed up with Ming Xu, an addiction researcher also at the University of Chicago, to conduct the experiment. Humans naturally make an enzyme, butyrylcholinesterase, that breaks down cocaine, but the research team wanted something more powerful for their skin grafts. So they used an enhanced form of the protein that another group had designed, which has 4,400 times the cocaine-hydrolyzing activity as the original. 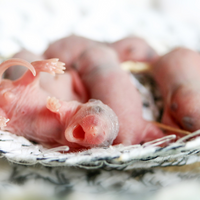 The University of Chicago researchers used CRISPR to insert a gene for the souped-up protein into skin epidermal stem cells from mice, seeded the cells onto circular, 1-centimeter-across patches of scaffolding, and then transplanted the tissue onto mice addicted to cocaine. One question in Wu’s mind was whether the technique would work as well for getting the relatively large modified butyrylcholinesterase into the bloodstream as it had for insulin, which is comparatively small. 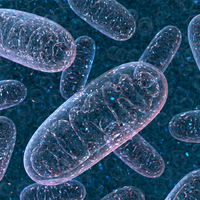 But the experiment was a success: two weeks after their transplants, a dose of cocaine that otherwise would have been lethal had no discernible effect on the mice—apparently, the enzyme broke down the drug before much, if any, of it could reach their brains. And previously addicted mice with the patch no longer showed a preference for an area of their enclosure they’d learned to associate with receiving cocaine. The patches continued to make the enzyme through the end of the experiment, 10 weeks after transplantation. While intriguing, it’s not clear that the findings have implications for the treatment of people with substance abuse disorders, says Mary Jeanne Kreek, an addiction researcher at the Rockefeller University who was not involved in the project. 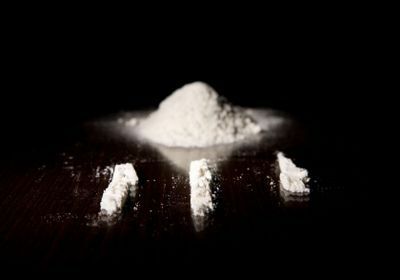 Past studies on treating addiction by accelerating the breakdown of cocaine have shown that the approach “could be feasible, but it’s not going to be effective, because cocaine users will simply use more and more and more cocaine,” she says, adding that a more convincing study design would have been to enable the mice to self-administer the drug for 10 days or more, to assess whether they were interested in doing so. As for overdose prevention, cases involving cocaine alone are “incredibly rare,” she notes. Usually other drugs are involved as well. I guess the individual would have [to] use really really large quantities of cocaine to get effects. Y. Li et al., “Genome-edited skin epidermal stem cells protect mice from cocaine-seeking behaviour and cocaine overdose,” Nat Biomed Eng, doi:10.1038/s41551-018-0293-z, 2018. Correction (September 21): The original version of this article listed Thomas Kosten's affiliation as Baylor University, rather than Baylor College of Medicine. The Scientist regrets the error.